We are currently growing over 1100 cultivars and will be adding new ones yearly. 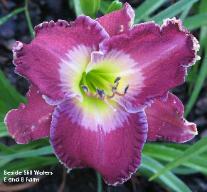 We invite you to take a look at the plants we have available this year. be an error, please let us know so we can correct it. leave a message if you don't get someone and we will return your call. 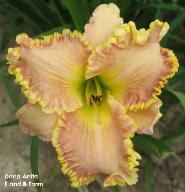 If you have never seen a mass of daylilies in peak bloom, you cannot imagine what an awesome sight it is. We are a licensed, state-inspected nursery. availability and work out the details. Orders can either be shipped or picked up at the farm. Anyone not entirely satisfied should return plants immediately and proper adjustment will be made.